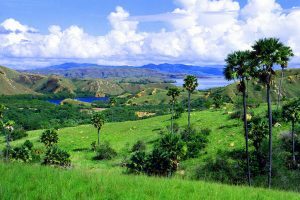 Rinca Komodo Tour is one of the most recommended tours arranged by Top Komodo Tour. This trip will take you to visit two main islands as the natural home of Komodo dragon and other wild life which live within the Komodo National Park. By taking two days trip to Rinca and Komodo islands, your dreaming to see Komodo dragon on their real habitat has been answered. This trip will also cover the most highlighted of Komodo National Park including visit Pink Beach which is known for pink sandy beach and superb snorkeling spot within the Komodo park, and in this tour program, it covers Manta Point in Takat Makasar area to try having a chance for you to witness some huge Manta Ray Fish by snorkeling which are sometimes floating on water-surface to feed on plankton, (but we don’t guarantee to find them while you are on this spot, it depends on your lucky day and sea condition) as it is also sometimes hard to reach this spot during the bad weather. And when you plan to take Rinca Komodo Tour from Bali island, we would love to recommend you to take first morning flight to the airport of Labuan Bajo, and the latest flight is around midday flight or 12PM arriving in Labuan Bajo airport in order to cover all places mentioned on the program, but If you will arrive later after midday flight from Bali, it might be some places stated in the itinerary will not be covered in your visit due to the time is not sufficient, or otherwise you better take an overnight in Labuan Bajo before taking Rinca Komodo tour on the following day, that would be perfect choice for you. Please take a look the tour program bellow as your reference before booking this tour. Day 1. Labuan Bajo – Rinca Island – Pink Beach – Komodo Island (L,D). Pick up at your hotel or at the airport in Labuan Bajo – transfer to harbor to catch a local wooden boat to start your Rinca Komodo Tour with us – firstly is boating to Rinca island – trekking at Rinca island to find Komodo dragon and other wild life – continue boating to amazing Pink Beach to snorkel/swim/relax – boat to Komodo island. Lunch, Dinner and Overnight are on boat at Komodo island. Day 2. Komodo Island – Manta Point – Kanawa Island – Labuan Bajo (B,L). It is the second day of your Rinca Koomodo tour. Starting with simple breakfast on boat – morning trekking at Komodo island to witness Komodo dragon and other Wild life – boat to Manta point to try finding huge Manta ray fish by snorkeling (only lucky time to find Manta ray fish, No Guarantee) – continue boating to Kanawa island to snorkel/swim/relax – boat back to Labuan Bajo’s harbor – transfer to the hotel for accommodation or to the airport for flying to the next destination. Breakfast & Lunch will be served on boat. End of Rinca Komodo Tour. 2 days local wooden boat, 1 night accommodation on cabin boat (AC/non-AC cabin boat depends on requested), 2X Transfers, Experienced tour guide, Snorkel gears, Meals on the boat as mentioned on the program (B/L/D), Mineral water+coffee,+tea+snack during on boat, boat parking tax during in Komodo Park, Service charge. Hotel in Labuan Bajo, Entrance fee in Komodo National Park (about IDR 400,000/person/day), Soft & Alcohol drinks, Insurance, Personal Expenses, Tip. 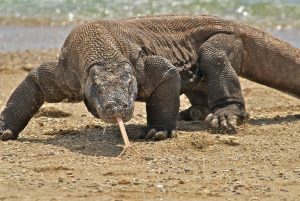 Contact Us for more information about Rinca Komodo Tour.